The dynamics of large populations of interacting neurons is investigated. 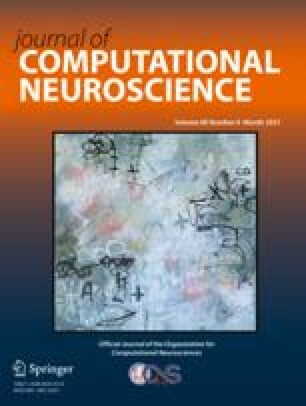 Redundancy present in subpopulations of cortical networks is exploited through the introduction of a probabilistic description. A derivation of the kinetic equations for such subpopulations, under general transmembrane dynamics, is presented. The particular case of integrate-and-fire membrane dynamics is considered in detail. A variety of direct simulations of neuronal populations, under varying conditions and with as many as O(105) neurons, is reported. Comparison is made with analogous kinetic equations under the same conditions. Excellent agreement, down to fine detail, is obtained. It is emphasized that no free parameters enter in the comparisons that are made.